This Earth Day, join hands-on habitat restoration to save Marin County’s endangered coho salmon. 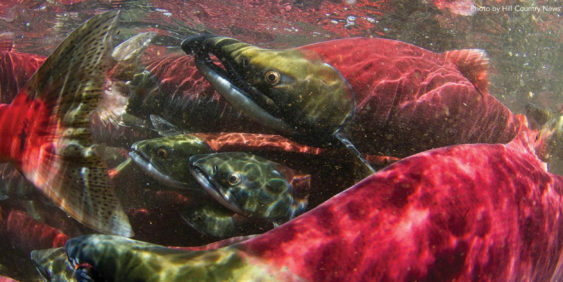 The Salmon Protection and Watershed Network (SPAWN) is hosting a Salmon Fest at our headquarters in Olema – the site of our largest habitat restoration site – on Saturday, April 20 from 10 am to 2 pm. The event will begin with featured speaker Nick Tipon, enrolled member and elder of the Federated Indians of Graton Rancheria. Then, throughout the day, the event will focus on increasing the diversity of native vegetation in newly created channels along the Lagunitas Creek floodplain to create great habitat for butterflies, birds, amphibians, and fish. This is a free, family friendly event. Snacks and drinks will be provided throughout the day. We look forward to seeing you on Earth Day.